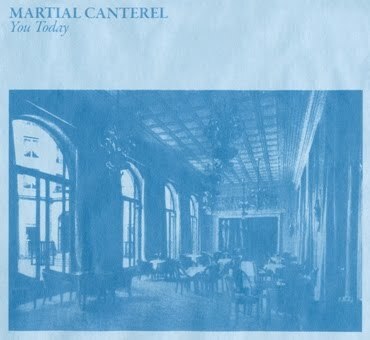 Martial Canterel’s much anticipated new record, You Today will finally be released on Feb. 8th. I contributed some words on the subject to the official Wierd Records press release, but wanted to share an alternate version deemed a bit verbose for public consumption. The king of coldness and cruelty expands his reign with You Today, a masterful statement that incorporates certain atavistic tropes of the minimal synth genre yet paradoxically projects an attitude of complete insouciance to the classics. Thoughtful yet distinctly danceable and infectious through and through, this record easily proves Martial Canterel’s Sean McBride as progenitor of American cold synth sounds of the 21st Century. His influence can be heard in scores of bands in the Wierd Records cadre and beyond, with the collision of his uniquely humanistic means of production through live analogue synthcraft expertly paired with vocals and lyrics that reflect the pitfalls and pleasures of our age. What began as McBride’s solo project in the early aughts throughout small dives in Brooklyn has since grown into a massive crowd-pleasing pulse reverberating across the U.S. and Europe. You Today incorporates many of the enticing themes Martial Canterel is known for: bright, urgent melodies that snake between major and minor keys ornamented and punctuated by the noises of industry and McBride’s sonorous, stern vocals. Lyrically, You Today probes the limits of legibility and the complexities of the concrete. “Market” and “Sidestreets” delve into the disconcerting atmosphere of crowds, buildings, objects and intimates, while the plodding yet dazzling sensual haze of “The Empty Sand” conjures oceanic imagery positioning the beach as palimpsest. “The shoreline records the past, a strata for every year…for I’ve lost so much to the sea,” he opines. As ever, McBride deals in deleuzions and biting realities, both musically and lyrically. And while the music of Martial Canterel can be enjoyed solo, its visceral kick is best felt on the dancefloor, amidst a flurry of flesh in motion. And here's the "You Today" video shot by Sean's partner in sonic sign (and signifier) Liz Wendelbo.